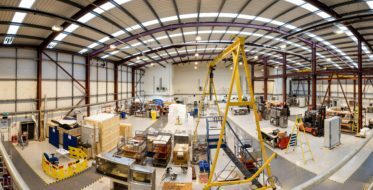 Today marks 18 years since PSL moved into a new, custom built facility at the then newly developed Estuary Business Park in Liverpool. So much has changed since the building was officially opened on the 25th October 2000, by Captain David Snelson RN. The location has grown into a key business and retail area with companies such as Allergan, NHS, kays Medical, DHL, AstraZeneca and Eli Lilly all close by. PSL has grown too into a global engineering and manufacturing company, winning numerous awards for innovation and international trade, and with a team committed to inspiring a new generation to provide quality process solutions. In 2019, PSL will celebrate 30 years of business. We have a full calendar of events to mark this milestone and our international team of process experts will be on the road championing the work that we do. PSL’s equipment helps to bring next generation drugs to the market place faster. We are proud to be improving patient’s lives all around the world. Posted on jeudi, octobre 25th, 2018 at 5:20 in Company News, Latest News.